On 1 January 2019, the Modernisation of Bankruptcy Procedure Act (MBPA) (in Dutch: Wet Modernisering Faillissementsprocedure) is set to enter into force in the Netherlands. This act, which will apply to bankruptcies opened on or after 1 January 2019, is aimed at updating Dutch bankruptcy law to bring it more in line with modern practice. In this blog post, I give an overview of the background to the MBPA and the most important measures provided for in this law. The Dutch Bankruptcy Act (DBA) first entered into force in 1896. And while amendments were made over the years, the rules governing bankruptcy fundamentally remained the same. 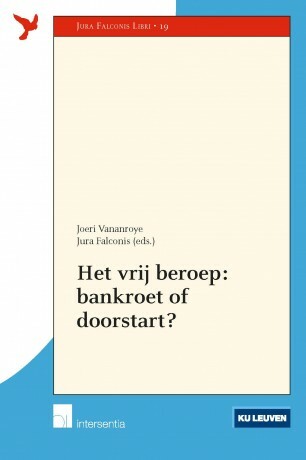 A few years ago – in the wake of the Global Financial Crisis – this prompted voices who stated that Dutch bankruptcy law needed a revision, which ultimately led to the launch of the legislative program “Recalibration of Bankruptcy Law” (Herijking Faillissementsrecht) in 2012. The legislative program is based on three pillars: i) strengthening the possibilities for corporate restructuring, ii) tackling bankruptcy fraud and; iii) modernisation of the bankruptcy procedure. Within this program, the MBPA forms the third pillar. More in particular, the MBPA implements measures aimed at achieving four distinctive goals: i) increased digitalisation and transparency; ii) increasing the speed of the bankruptcy procedure; iii) providing for a more made-to-measure procedure; and iv) increased specialisation and expertise. The first goal of the MBPA is to promote digitalisation of the bankruptcy procedure and to increase accessibility of information. The digitalisation efforts mainly concern the digitalisation of communications during a bankruptcy. In particular, the MBPA abolishes the requirement that notifications in bankruptcies must be in written form and that meetings and voting by creditors must take place in physical form. This entails, for example, that it is sufficient to send a digital notification for a claims admission meeting that is held only over a conference call as opposed to the current practice of sending letters notifying creditors of a physical meeting at the local court. These measures may be expected to improve efficiency in particular in small bankruptcies as well as large bankruptcies with cross-border aspects. The most important measure of the MBPA concerning increased accessibility of information relates to the publication of decisions of the supervisory judge and the court taken during the bankruptcy procedure in the publicly available Central Insolvency Register (https://insolventies.rechtspraak.nl/#!/zoeken/index) within one working day after they have been handed down. The relevance of the above mentioned measure should be mainly sought in providing creditors with a more effective method to safeguard their right of appeal, as the period for appeal of decisions of the supervisory judge is five days and decisions are currently – generally speaking – not made public within those five days. Unfortunately, however, the MBPA just provides that certain categories of decisions may be designated for publication by governmental decree. As this governmental decree is currently not yet available, it is thus currently still unclear which decisions exactly will be made public through publication online. The second goal of the MBPA is to shorten the length of bankruptcy procedures. According to the legislator one of the causes of the fact that bankruptcy proceedings take a relatively long time in the Netherlands is the fact that creditors can currently file a claim until the last list of distribution of proceeds to creditors has become binding. To this end, the MBPA provides for the introduction of a bar date for the filing of claims with the bankruptcy trustee. This bar date is related to the date of the first claims admission meeting (i.e. the deadline is fourteen days prior to the meeting), after which date claims can no longer be filed with the bankruptcy trustee for acknowledgment. The bar date is strict (there is no hardship clause and the date may not be appealed) and the sanction serious (claims can no longer be acknowledged and creditors cannot seek payment under a reorganization plan). There does remain some flexibility – a supervisory judge may deviate from the rule that the bar date is set at fourteen days before the claims admission meeting and he may adjust a set bar date – but this is all at the full discretion of the judge. Another novelty is the introduction of the possibility for the bankruptcy trustee to admit claims on his own accord. The possibility to do so was previously rejected by the Dutch Supreme Court, but is now introduced in Dutch bankruptcy law by the legislator. It is expected that the possibility to acknowledge claims “ex officio” will not be used very often in practice, but it may be of assistance in larger bankruptcies with well-kept books and records and large numbers of creditors. It is noted that this measure does not provide an escape for the bar date, as the bankruptcy trustee is also bound by the bar date when it wishes to acknowledge claims on his own initiative. The third and fourth goal of the MBPA regard the possibility to tailor a bankruptcy to the specific circumstances of the individual case and the advancement of further specialisation and expertise in the field of bankruptcy. The tailoring regards a revision of the rules on claims admission meetings and creditors’ committees. Currently, the rules on these topics provide relatively little leeway. There can be only one claims admission meeting and creditor committees are to consist of a maximum of three members. Under the MBPA, it is now made possible for a supervisory judge to determine that additional claims admission meetings are held. In addition, creditors’ committees can consist of as many members as desirable, as long as the number of members is uneven and represents the most important groups of creditors. The increased specialisation and expertise in turn is envisaged to be achieved by the possibility for a supervisory judge to appoint an expert – at the costs of the estate – to support the judge in cases that require particular expertise and the possibility for the appointment of more than one supervisory judge in a bankruptcy. Finally, the MBPA provides for the creation of a ‘Committee on Insolvency Law’. This committee, which is to consist of six to ten members, is tasked with advising the government and Parliament on insolvency related legislation. However, it is currently still unclear which persons will form this ‘heavy weight’ committee. It has been noted by some that the MBPA is not an overly ambitious law and that other measures should have been included in it. However, whatever may be of those comments, the MBPA does provide a number of measures that will impact and improve the way in which bankruptcies will be handled in the Netherlands. Archaic formalities are abolished and constraints are being taken away. And while room for improvement of the DBA may remain, the passing of the – politically unsexy – MBPA should certainly be considered an achievement. The complete text of the MBPA can be found here (only in Dutch). Previous Previous post: Het failliet van de vzw?